As explained in Kyoto Illumination Event Calender, there are many illumination events throughout the year in Kyoto. Most of them are held at temples and shrines that boast hundreds of years of history. 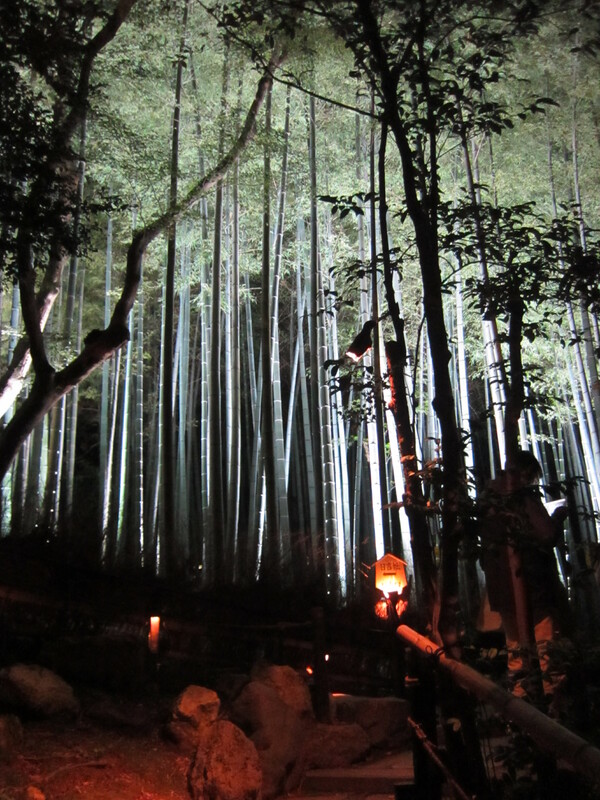 If planning to visit Kyoto during Spring or Fall, it is a great idea to visit one or two of them at night. Light and historical landmarks might not sound like a good combination. But it has an unique and profound effect on quaint buildings, where usually darkness prevails at night. 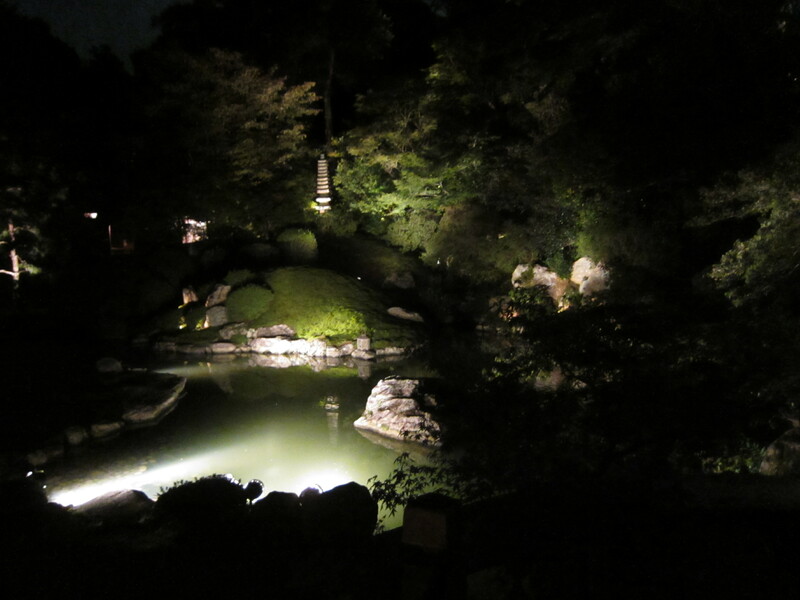 The following pictures were taken on October 26th at Shorenin Temple. Although it is not as famous as other illumination venues such as Kiyomizudera Temple and Kodaiji Temple, blue-focused illumination is very rare and worth checking. 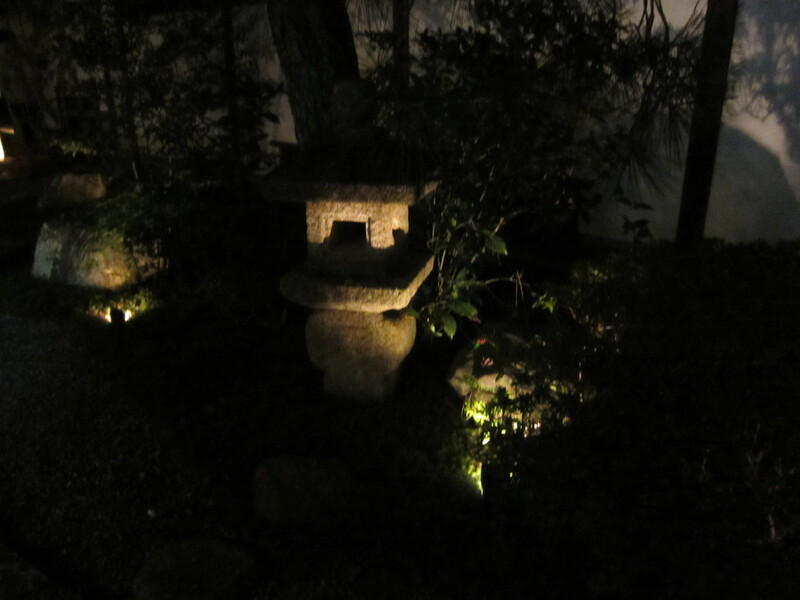 The camera used was not a high quality device, so the actual illumination is much better than those in the pictures. As for more information on this temple, please check my Kyoto Guidebook which is now available on Amazon and Barnes & Noble. 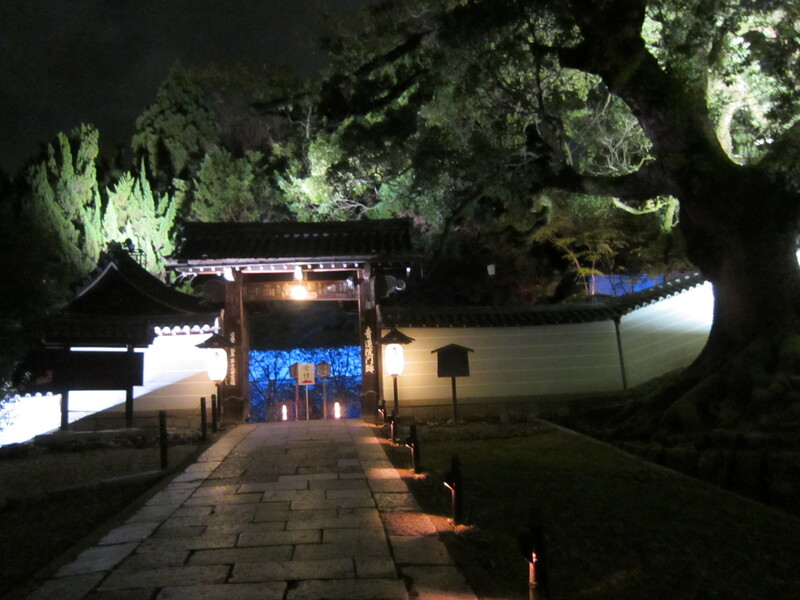 Shorenin Monseki Temple’s illumination ends on December 8th in 2013.